The gentle courtship behaviour of Black-browed Albatrosses nesting at West Point Island, the Falkland Islands. Image by Inger Vandyke. A visit to Antarctica and South Georgia is like no other journey on earth; it is indeed about as close to visiting another planet as any of us are likely to get.  We can say without hesitation that this is the ultimate wildlife photography adventure, a wilderness experience that is truly uplifting and really does make the heart sing with the joy of being alive. If you ever have the chance to go to South Georgia and Antarctica then take it, for you will surely never regret it! Antarctica and South Georgia are truly other-worldly places that every photographer with a keen interest in wildlife, landscapes and adventure should visit at least once in a lifetime. With so many marvellous creatures that are utterly tame and approachable, not just penguins and seals, but albatrosses, whales and many other species, a combination of Antarctica and South Georgia is one of the most wonderful Antarctica photography tours that one can ever experience, and way, way richer as a wildlife photography experience than a journey to the Antarctic Peninsula alone. For anyone who wants to encounter the best of Antarctic wildlife, South Georgia is a must! Antarctica is the last frontier on our ever-shrinking planet, a place that so many travellers long to explore but so few ever see. An uninhabited continent of more that twelve million square kilometres almost entirely encrusted with ice – an awesomely silent but starkly beautiful frozen world. Here in Antarctica some of the most magnificent scenery of all can be seen under the cleanest skies on earth. Towering volcanoes, stark mountain ranges, lowering headlands, icebergs like floating cathedrals – all are enhanced by the peculiar quality of the light, which lends an ethereal beauty to the savage grandeur of the landscapes. Antarctica is a land of superlatives, at one and the same time the coldest, highest, windiest, driest, most barren and least known area on earth. Some 90% of the world’s fresh water is locked up in Antarctica’s icecap, which if it were to melt would cause sea levels to rise over 200ft (over 60m), drowning much of the world’s arable land and hundreds of major cities! One of the strangest features of this lost continent is the fact that Antarctica is surrounded by the richest oceans of all, thronged with marine life ranging from tiny krill to huge elephant seals and whales, and supporting enormous numbers of seabirds. The tameness of Antarctica’s wildlife, both seabirds and sea mammals, is legendary and this remarkable journey will not only provide numerous opportunities to photograph albatrosses, petrels, penguins and seals at sea but also see us wandering right amongst their breeding colonies, accepted without question by creatures that have learned no fear of man, a magical yet humbling experience. Whale-watching is a feature of Antarctic cruises and we are likely to enjoy some spectacular views of these leviathans breaching and sounding right next to our ship. Our extraordinary wildlife photography adventure starts in earnest either at Ushuaia, the southernmost town in the world, situated on the windswept but spectacularly beautiful shores of Tierra del Fuego, or at Puerto Madryn further north in Patagonia. Here we join our ship and sail out into the South Atlantic en route to the Falkland Islands. The sea crossings from South America to the Falklands and onwards to South Georgia and Antarctica offer some of the best pelagic seabird photography experiences in the world, with no fewer than five species of albatross routinely encountered (Black-browed, Grey-headed, Light-mantled, Wandering and Southern Royal) and several others possible, as well as both Southern and Northern Giant-Petrels, Cape, White-chinned, Soft-plumaged, Atlantic, Kerguelen and Blue Petrels, Slender-billed, Antarctic and Fairy Prions, Great Shearwater, Wilson’s, Grey-backed and Black-bellied Storm Petrels, and Common and Georgian Diving Petrels. We can also expect a good selection of cetaceans, including some large whales. Our exploration of the wild yet beautiful Falkland Islands will be enlivened by the spectacular and very approachable wildlife of the archipelago, which makes for truly wonderful photography. Here are some of the largest colonies of Black-browed Albatrosses and Rockhopper Penguins in the Southern Ocean, while other attractions include South American Fur Seal, Magellanic Penguin, Rock and Imperial Shags, Kelp, Upland and the rare Ruddy-headed Geese, Falkland’s Steamer Duck, Striated Caracara, Magellanic and Blackish Oystercatchers, Rufous-chested Dotterel, Two-banded Plover, Brown Skua, Dolphin Gull, South American Tern, Blackish Cinclodes, Dark-faced Ground-Tyrant, Cobb’s Wren and White-bridled Finch. After enjoying the attractive scenery and marvellous wildlife of these rugged, wind-swept islands, and after a short stop in rather quaint yet historic Port Stanley, we sail onwards to South Georgia, enjoying some more wonderful seabird photography en route. The most mountainous of the sub-Antarctic islands, South Georgia appears like a series of snow-covered peaks rising from the sea, scalloped with fjords carved by more that 150 glaciers. Here we will experience some of the most unforgettable wildlife spectacles of our journey amidst dramatic scenery, walking amidst huge colonies of stately King Penguins (surely one of the most iconic creatures of all as regards wildlife photography), standing close to gigantic Southern Elephant Seals and enjoying superb views of nesting Wandering Albatrosses, while other notable creatures include Macaroni and Gentoo Penguins, South Georgia Shag, South Georgia Pintail, the hugely impressive Southern Elephant Sea and the bad-tempered Antarctic Fur Seal and even the tiny endemic South Georgia Pipit. To the south lie the ice-mantled South Orkney Islands, a major breeding site for the lovely Snow Petrel and a place where numerous huge icebergs, spawned by the Weddell Sea, come to rest in the shallows. Steaming even further south, across the Scotia Sea, we come at last to our ultimate goal, the Antarctic Peninsula, an icy finger of land pointing towards South America and first seen by human eyes only last century, and the rugged South Shetland Islands, home to millions of penguins and petrels. Here the entire wildlife spectrum is tame and approachable, making for some amazing photography sessions. Here we will encounter Weddell, Crabeater and Leopard Seals, penguins and whales amidst the ice floes, visit Adelie, Chinstrap and Gentoo Penguin rookeries, experience the awesome scenery of the ice-choked Antarctic channels, watch pure-white Snow Petrels and piebald Antarctic Petrels soaring around icebergs, and visit the shores of the Antarctic continent itself. At this time of year we even have a real (maybe 50-60%) chance of encountering the legendary Emperor Penguin. From the Antarctic Peninsula we sail northwards across the deep waters of the Drake Passage to the southernmost tip of South America, where the turbulent waters of the Atlantic and the Pacific meet at lonely Cape Horn, before very reluctantly returning to ‘civilization’ at the port of Ushuaia with memories and images that only a lucky few can ever hope for. We have operated Antarctica photography tours since 1990. You have the best chance of seeing and photographing one or more Emperor Penguins if you take an Antarctic Peninsula cruise that has an itinerary that both includes an intention to enter the Weddell Sea (and not many itineraries do that) and is scheduled to visit the area between mid-January and mid-March. The reason for this is simple: ice cover in the region reaches its minimum extent in mid-February and Emperor Penguin colonies are largely deserted by the adults from mid-December onwards, with the birds dispersing away from the inaccessible colonies on the permanent ‘fast ice’ to areas of sea ice where both adults and immatures moult. The confusion about the early part of the ‘ship season’ (late October to November) being best seems to derive from the fact that tours that plan to reach Emperor Penguin breeding colonies (by means of aircraft or ship-borne helicopters) are operated at that time. Yes, they have to be, as by mid-December the colonies have few adult birds left. The problem for expedition ships without helicopters is that the chances of getting into the Weddell far enough to encounter Emperors on ice floes averages way lower in late October and November than it does much later in the season after far more sea ice melts. You can get lucky in the early season, especially if you take an extended Antarctic Peninsula cruise, but your chances of success on any given cruise are low and this is particularly true of early season South Georgia and Antarctica cruises as these have more limited time available in the Antarctic Peninsula. Between mid-January and mid-March your chances on any given cruise that features the Weddell are considerably improved, being about 50-60%. The only reliable way to get fabulous Emperor Penguin images, of both adults and those endearing chicks, is to sign up for a dedicated, extended duration colony visit and this involves flying in, camping, and extraordinary cost. If you are in a position to do this, Wild Images can arrange it for you at no additional cost over and above the charge made by the expedition operator. Fly-in tours from Punta Arenas in Chile take place every November. Please contact our office for details. When is the best time for wildlife photography in the Antarctic Peninsula and South Georgia? This is not a simple question to answer and opinions vary. Laying aside the Emperor Penguin issue covered above, the easiest thing to say is that late southern summer/early autumn (late February into March) is definitely not the best time unless your main interest is cetaceans, as most penguin colonies are winding down and the weather is no longer at its best. The early ‘ship season’, which lasts from late October to late November, is a mixed bag in our view. As with the end of the season, the weather averages colder and more unsettled, but even more importantly there can be issues in many years with sea ice blocking access to wanted landing sites (particularly true of getting to Adelie Penguin colonies, for example). Furthermore, cetaceans are largely lacking at this time. On the other hand the adult Southern Elephant Seals are around in greater numbers on South Georgia and the penguin colonies in Antarctica proper are more pristine, less soiled. During the period December to early February the weather reaches its optimum, cetaceans become increasingly abundant, more sea ice melts or disperses allowing better access and some penguin species have endearing small chicks. At South Georgia, Prion Island closes from mid-November to early January, so only outside that period can you photograph Wandering Albatrosses on land. Note that Antarctic cruises departing between late December and early February cost more than those at other times because this is widely considered the optimum time to visit, both for the best weather and for access to some of the top landing sites. We shall be sailing to Antarctica, the Falkland Islands and South Georgia on the MV Plancius, a converted, ice-strengthened former Dutch naval vessel of 3434 tons and 89 metres in length operated by the well-respected Oceanwide Expeditions, who are based in the Netherlands. While significantly more comfortable and more modern than the old Russian expedition ships, this is still not a ‘cruise ship’ in the traditional manner and is designed for exploring wild places and enjoying wild nature, rather than enjoying luxurious surroundings and ‘black-tie’ dinners with the officers. Plancius can accommodate up to 114 passengers in 53 passenger cabins, all with private toilet and shower. Cabins consist of quad cabins with a porthole and two lower single beds and two upper, triple cabins with a porthole and two lower single beds and one upper, twin cabins with a porthole and two lower single beds, twin cabins with a window and two lower single beds, somewhat larger deluxe twin cabins with a window and two lower single beds and superior twin cabins which are almost 50% larger than a standard twin, with at least one window and one queen-sized bed. Cabins have ample storage space and an outside view. Public facilities include a restaurant/lecture theatre, an observation lounge/bar with panoramic views, a library and a small shop. Food is plentiful, of good quality, waitress-served and prepared by experienced chefs. Both ships carry a small complement of expedition staff who, as well as guiding excursions ashore and zodiac cruises, double up as guest lecturers and give informal talks on the environment, wildlife and history of the areas visited. There will be at least one or two naturalists among them, who will be there to point out seabirds, whales, seals and other wildlife. The bridge is normally open to all (except when the ship is docking) and provides a great viewpoint whenever it is too breezy to stand comfortably outside. Much of the sailing is done at night (or what passes for ‘night’ in summer in high latitudes), thus maximizing opportunities for going ashore and enjoying the harsh but beautiful Antarctic landscape to the full. Landings are carried out by means of a fleet of zodiacs/naiads, the rugged, fast-moving type of inflatables first developed by Jacques Cousteau for expedition work which allow safe landings on remote coastlines in all types of conditions. A major advantage of Plancius is that with an absolute maximum of 114 passengers on board, landings can be of longer duration. These days there are fewer and fewer of the smaller expedition ships left and the larger vessels that are becoming the norm have to reduce landing durations so that they comply with Antarctic visitor regulations. Further information about the cruise, including photographs and details of the ship layout, including all cabin categories, are available on the Oceanwide Expeditions website: www.oceanwide-expeditions.com. The walking effort is mostly easy during our Antarctic photography tours, even in South Georgia, but there are a very few optional harder walks. Quite mild at this season (and a surprise to many visitors, who imagine extreme cold is a year-round feature of Antarctica). In the Antarctic Peninsula and surrounds the shade temperature is generally a little above freezing point (and as high as 4-7°C, or 39-45°F, at South Georgia). On sunny days it can feel relatively warm if there is no wind (often the case in Antarctica proper, much less often the case in South Georgia). In contrast, it can feel distinctly cold when windy at sea or while on land at South Georgia. Sunny spells are interspersed with (often longer) overcast periods and some rain or snow are to be expected. In Tierra del Fuego and in the Falklands conditions are typically cool, but considerably warmer than further south. Adverse weather conditions may prevent landings on exposed coasts. It is, however, unusual for more than a very few landings to have to be called off during a cruise. The information given about possible landing sites should be taken as a general indication about what is likely to be achieved: every Antarctic cruise is different, being dependent on the amount of time available, sea and ice conditions, and the weather, and so it is likely that some of the sites visited will be different from those described. Owing to the possibility, however small, of a severe airline delay, we would recommend that all participants have two hotel nights at the cruise start point prior to the cruise. Kindly note that in the event you do not arrive in time, the ship will not wait and neither the cruise operator nor ourselves can make a refund in such circumstances. Arriving early also has the advantage that your luggage could still catch up with you, should it go astray. We can make hotel bookings for you on request. For seabirds and many birds ashore during Antarctica photography tours, the ideal lenses with a full-frame DSLR or mirror-less equivalent are usually a 300mm, 400mm or 500mm prime, often with converters for smaller species. If your budget does not run to big prime lenses, a high quality 400mm f5.6 or a 100-400mm or similar zoom with a converter can be a very viable alternative. For many other wildlife photography subjects, and also many scenic shots, a telephoto lens in the 100-200mm range will be very useful. Antarctica, South Georgia and even parts of the Falkland Islands are full of panoramic views and a wide-angle in the 16-28mm range is ideal for landscape photography. You can also use wide-angle on elephant seals (not fur seals please! ), penguins and some other wildlife photography subjects to get great images. You can also get wonderful results throughout this Antarctica photography tour, with many subjects, with a high quality bridge camera with an 18-20x or higher optical zoom and a wide-angle setting which is equivalent to 24mm. If you have questions about what equipment you ought to bring, please contact us. Single Cabin Supplement: Single occupancy of twin-berth cabins can be obtained in return for a 70% supplement on top of the tour price. Please note that if you are willing to share but no cabin-mate is available you will not have to pay the single occupancy supplement. Deposit: 20%, including single supplement if applicable. Price includes surface transportation, accommodations, meals, some soft drinks, excursions and entrance fees. Our Antarctica, Falkland Islands and South Georgia photographic expedition begins this afternoon at Ushuaia, the southernmost town in the world, which is situated on the south coast of Tierra del Fuego, the ‘toe’ of South America, at 55 degrees south. If it is clear during the flight south across Argentina, you will be able to see the vast, arid landscapes of Patagonia far below and eventually the ice-clad spires and vast snowfields of Tierra del Fuego. Named by Magellan after the warning fires that the now-extinct Ona Amerindians lit when they saw his ships, Tierra del Fuego lies at the extreme southern tip of South America and is a wild land of grassland, windswept moors, stunted Nothofagus beech forests, snow-capped peaks and glaciers. This afternoon we will board our ship prior to setting sail this evening. We will spend the next 18 nights aboard. As we sail eastwards along the Beagle Channel, Black-browed Albatrosses, Southern Giant Petrels and diminutive Magellanic Diving Petrels will be on show, but they are only an appetizer compared to the wildlife glories of the subantarctic and Antarctica that still lie ahead. As we sail towards the Falkland Islands we will be looking out for seabirds that are typical of these shallower, warmer waters such as Sooty and Great Shearwaters. We will also encounter our first Southern Royal Albatrosses and a number of other seabird species widespread in the southern oceans which will soon become familiar companions. Indeed albatross and giant petrel photography starts to come into its own on this leg of the journey, with the birds coming right up to the ship and giving all kinds of views, against the sky, against the waves, even against the ship! The Falkland Islands lie some 500 kilometres (roughly 300 miles) off the South American mainland. In spite of their remote location and apparent lack of resources the islands have had a varied history, with temporary occupations by the Spanish and French before the British finally settled the islands permanently in 1842. Although the archipelago consists of over 300 islands, it is dominated by the two main islands of East and West Falkland. A tiny population of only a few thousand is concentrated around Port Stanley, the picturesque little capital with its gaily painted Victorian style houses that briefly became the focus of world attention during the 1982 Falklands War. These windswept islands enjoy a much milder climate than South Georgia let alone Antarctica and there is only a little snow during the winter months. At this season the islands provide endless rolling vistas of yellow-green grasslands waving in the wind. With so few people to disturb them, birds are tame and abundant. Over fifty species breed in the islands, an almost overwhelming diversity compared to Antarctica proper. During our stay we plan to make several landings. One of these will be at one of the spectacular seabird colonies that have made the Falklands famous. Most of these are situated on remote islands. At Saunders Island or at similar West Point Island the open hillsides are populated by Dark-faced Ground Tyrants and Correndera Pipits, whilst overhead Variable Hawks hang in the wind. Dramatic sea-cliffs face the open Atlantic and here we shall visit a Rockhopper Penguin rookery, smiling as we watch a succession of Rockhoppers popping up out of the sea onto the rocks like champagne corks leaving a bottle and then hopping and scrambling up the cliffs in a long line, working their way up a natural staircase that has been worn smooth by the passage of countless little feet. From time to time one or more Striated Caracaras or ‘Johnny Rook’ appears in the colony, lurking on the periphery in the hope of making off with a titbit or two. At a large colony of Black-browed Albatrosses we will see some of the adults squatting on top of flattened grass tussocks rather like strange dwarfs on even stranger toadstools whilst others soar high above us or sweep in to the nest sites to greet their mates with an affectionate round of mutual preening and bill clicking. Opportunities for photography are simply awesome here! On beautiful Carcass Island, Gentoo and Magellanic Penguins potter along waving their little flippers as they wander inland to their nests. Rock and Imperial Shags sit about on rocky skerries whilst South American Terns and beautiful Dolphin Gulls patrol the shallows and Magellanic and Blackish Oystercatchers pipe shrilly from the shoreline. Upland Geese are especially numerous and there is a good population of the rare and beautiful Ruddy-headed Goose. Along the shoreline we will come across the striking Kelp Goose, which feeds almost exclusively on the beds of giant kelp. The endemic Falkland Steamer Duck or ‘Logger’ is a common sight and we shall soon realize how they got their name as these bulky ducks ‘steam’ over the water, kicking up a cloud of spray from the combined action of their wings and large feet whilst making loud sneezing alarm calls. All of these birds are amazingly approachable and even an afternoon here can produce numerous great images. It is hard to know where to turn to next! The great photography just goes on and on. The variety of landbirds is rather limited but this is more than made up for by the confiding nature of the little Blackish Cinclodes or ‘Tussock Bird’, which may perch on one’s shoes, or even on one’s head, much to the amusement of other participants. White-bridled Finches and Black-chinned Siskins feed amongst the low herbage, Grass Wrens lurk in the damp grass and endemic Cobb’s Wrens forage along the shoreline amongst the cast up seaweed. Around the settlement Black-crowned Night Herons nest in the trees and Austral Thrushes and Long-tailed Meadowlarks are everywhere. Amongst the other birds we may find here, all of which can be close enough for good photography, are Crested Duck, Speckled Teal, Turkey Vulture, Southern Crested Caracara, Peregrine Falcon, South American Snipe, Brown Skua and Kelp Gull. Non-avian wildlife is not very prominent in the Falkland Islands, but as well as South American Fur Seal and Peale’s Dolphin, we may also come across the beautiful Commerson’s Dolphin. Before leaving the islands we will call in at Port Stanley where there are opportunities to wander around the miniscule streets, visit the tiny cathedral, see the historic hulks of the ships that never made it around Cape Horn. This will be our only opportunity for ‘urban photography’ during the expedition. Outside the town, one can find Speckled Teal, Rufous-chested Dotterel and Two-banded Plover. You can walk out to the airport area to photograph them, but it is quicker and more relaxing to pay for a taxi. The long sea crossing to South Georgia can often be a highlight of the voyage if you like to photograph birds in flight. As we travel ever further to the southeast we shall pass from the warmer sub-Antarctic waters that surround southern South America and the Falklands to the cold waters of Antarctica. The line of demarcation between these two water masses is quite strongly pronounced and is known as the Antarctic Convergence. Here the upwelling currents create conditions ideal for plankton and the rich feeding attracts numerous seabirds and often cetaceans. As we watch from the decks we will see an endless succession of seabirds following the ship, or sailing indifferently past, including Black-browed and Grey-headed Albatrosses, the graceful Light-mantled Albatross, enormous Northern and Southern Giant Petrels, Cape, Soft-plumaged and White-chinned Petrels, the beautiful Blue Petrel, Antarctic and Slender-billed Prions, tiny Wilson’s, Grey-backed and Black-bellied Storm Petrels, and Brown Skuas. The star of this ever-changing spectacle will be the greatest seabird of all, the Wandering Albatross, with its remarkable wingspan (up to 3.5 metres!). As we watch and photograph these huge birds gliding low over the sea between waves and then circling high into the air without even the slightest movement of their wings we will be witnessing one of nature’s ultimate creations in action – a bird which is in total harmony with its environment. We should also come across the confusingly similar Southern Royal Albatross amongst the Wanderings. We also have a good chance of seeing and photographing whales, especially when we cross a bank where the sea depth decreases from over 4000m to under 200m, producing an upwelling that creates a plankton swarm highly attractive to whales: the most regular species here being Minke Whale, Fin Whale and Hourglass Dolphin. If we are lucky we will encounter Gray’s Beaked Whale or Southern Bottlenose Whale. As we voyage southwards we will have a chance to listen to some fascinating lectures on the environment of Antarctica and its wildlife or visit the bridge to learn about the many complex navigation instruments in use on our ship. South Georgia lies at the northeastern corner of the Scotia Ridge, a largely submarine formation with only the summits poking above the sea as islands, that links the Andes of South America with the mountains of Antarctica. Profoundly remote, a mass of inaccessible ice-clad mountains rising to 2934m, South Georgia is the most spectacular and most rich in wildlife of all the sub-Antarctic islands. Described by Robert Cushman Murphy, that great pioneer of seabird research in the southern oceans, as presenting ‘one of the world’s most glorious spectacles – like the Alps in mid-ocean’, the coastline of South Georgia endlessly surprises and delights as one striking vista of deep fjords, jagged peaks and glacier-dominated valleys gives way to another and yet another. During our stay in this marvellous area we will make a series of landings. For over fifty years South Georgia was the hub of the South Atlantic whaling industry and we shall explore the eerie, silent ghost settlement of Grytviken, the oldest whaling station on the island, which makes for some most unusual yet fascinating photography. Even some of the old whaling boats are still intact. Here too we will visit the simple grave of Ernest Shackleton, that hero of Antarctic exploration, who died at Cumberland Bay, and also the excellent whaling museum that charts the history of the island. South Georgia is famous for its vast nesting colonies of King Penguins, and we do mean ‘vast’ as some of the colonies number in the hundreds of thousands! It is an awesome experience to go ashore at the immense colonies at Salisbury Plain and St Andrews and see and photograph a sea of birds stretching away into the difference before concentrating more on photography of groups or individuals waddling between beach and colony, or ‘surfing’ in the waves just off the beach. The King Penguin’s sheer size, elegant shape and colour combination makes for many striking images (indeed you can easily take hundreds before getting a bit more discerning!). We shall admire their handsome silver-grey, glowing orange, black and white plumage that contrasts so strikingly with the green tussock grass and beige sandy beaches, whilst inland the huge glaciers provide an even more dramatic backdrop. In some places at the King Penguin colonies large groups of enormous Southern Elephant Seals are piled on the shoreline like heaps of giant slugs, occasionally stirring from their slumbers to growl a protest as a neighbour jostles them beyond the point of acceptability. The pups with their huge ‘innocent’ eyes and perpetually runny noses from their habit of snorting out excess salt from their nostrils are simply adorable and make for wonderful photography. Also easy and impressive to photograph are the many Antarctic Fur Seals, but with these you have to be more wary as, unlike the ponderous elephant seals, they can move fast and sometimes even bite the unwary. Keep looking out behind you! With so many large creatures in residence, it is not surprising that there are some casualties among the wildlife, so it is commonplace to find huge Southern Giant Petrels squabbling over carrion. Their fights, which are often dramatic, involve birds lumbering into battle with widely spread wings while their heads are often blood-stained from prizing open the rotting corpses. Expect some dramatic images! All in all the King Penguin colony landings are a photographer’s dream and it is almost painful to have to leave and go back to the ship! Not far away, Southern Giant Petrels squat Dodo-like on their untidy nests, hissing at intruders. Light-mantled Albatrosses, the most beautiful and most gentle of all the albatrosses, are widespread as nesting birds and it is a thrilling sight to watch them gliding to and fro along the cliffs or displaying to their mates. During our stay in South Georgia we will surely encounter the endemic South Georgia Pipit (now rapidly recovering its numbers thanks to the ongoing rat eradication programme) and also the rather tame endemic race of the Yellow-billed Pintail. Other photography targets include Grey-headed Albatross, South Georgia Shag and the bizarre-looking Macaroni Penguin. In the fjords or offshore we will find stunning Snow Petrels, diminutive Common Diving Petrels and the localized Georgian Diving Petrel, watching the latter get up hurriedly from the water and sweep past our ship on rapidly whirring wings. We sail southwestwards across the Scotia Sea towards the South Orkney Islands and Antarctica proper. Once again pelagic seawatching is excellent both for birds and cetaceans, so the opportunities for photography will continue. Today we plan a landing at Orcadas station, an Argentine base in the South Orkney Islands, which in this region are the most northerly archipelago of Antarctica proper. Visiting an Antarctic base is a fascinating experience in itself and few have finer views than this one with glaciers all around. In the South Orkneys we will surely encounter numbers of gigantic tabular icebergs which have been spewed forth from the mouth of the Weddell Sea. Some of the bergs are the most intense blue colour and have been sculptured into fantastic shapes by the action of wind, water and sun, making for some amazing photography. The incomparable Snow Petrel regularly adopts these bergs as a ‘home away from home’ and we should see and photograph these beautiful birds, that surely epitomize Antarctica, perched on the top or circling their floating ‘island’. We sail on to Antarctica proper. As we get closer our excitement grows and we shall keep a careful lookout for Antarctic Petrels amongst the much more common Southern Fulmars and Cape Petrels. The route we take will depend on ice conditions at the time, but if these permit we will enter the Weddell Sea on our way to Antarctic Sound, at the northernmost point of the Antarctic continent. (If ice conditions are unhelpful, we will instead head past Elephant Island and try to access Antarctic Sound and the edge of the Weddell Sea by the western route. Elephant Island, one of the easternmost islands of the South Shetlands and a remote place where black rock outcrops and mighty glaciers speckled with pink algae create a dramatic landscape. This is the place where Ernest Shackleton’s men survived for more than four grim months after Shackleton set out on his epic attempt to reach South Georgia in a tiny open boat and so bring help. A bust to Captain Pardo, the master of the Chilean ship Yelcho that finally got through to Elephant Island on Shackleton’s fourth rescue attempt, still stands guard at Point Wild, a reminder of the days when explorers could not rely on radios or helicopters to save themselves, but only on their own courage and determination. Colonies of Chinstrap and Gentoo Penguins can be found throughout the Antarctic Peninsula and the South Shetlands. We will likely make a landing at Half Moon Island in the South Shetlands, or at other very similar bird colonies elsewhere. Here, Brown Skuas will try to drive us from their territories by sweeping in low over our heads and breeding Wilson’s Storm Petrels zigzag over the talus slopes where Antarctic Shags nest. , display wildly to their fellows or steal stone’s from their neighbours’ nests. We may also come fairly close to saturnine-faced Weddell’s Seals hauled out on the ice. The entry to Deception Island, through the aptly named Neptune’s Bellows, is just wide enough for our ship to navigate and here we will be accompanied by some of the numerous Cape Petrels that nest fulmar-like on the surrounding cliffs. Our anchorage is at Whaler’s Bay, an abandoned whaling station, inside a volcano whose cone caved in to be filled by the sea. There is traditionally a chance to go for a (rather quick!) Antarctic swim here, in an area with some natural geothermal heating, but photographers may prefer to concentrate on the bathing skuas or the nesting Cape Petrels. As we pass through the Bransfield Strait, passing icebergs of immense size and awesome beauty, some white, others tinged blue-green by algae, and watching out for the huge flukes of sounding Humpback Whales, the high dorsal fins of Killer Whales (or Orcas) slicing through the water and the unobtrusive Minke Whale. Here the silence is profound as the sun glows on ice floes dotted with Crabeater, Weddell and sinister-looking Leopard Seals whilst beyond is an endless vista of icebergs and distant, snow-coated mountains. Landscape photography here is awesomely good and there are many wildlife photography opportunities as well. We plan to make a landing on the continent of Antarctica itself, possibly at Brown Bluff in Antarctic Sound. Here we will go ashore on the Antarctic mainland, likely photographing chicken-like Snowy Sheathbills scavenging along the shoreline and South Polar Skuas keeping a watchful eye out for any opportunity for a meal. Out in the bay, graceful Antarctic Terns perch on blocks of floating ice. We will also want to visit the large Adelie Penguin colony. These little characters are surely the cutest penguins of them all. The northern edge of the Weddell Sea offers our best chance for the winter-breeding Emperor Penguin, as there is a colony on relatively nearby (but generally inaccessible) Snowhill Island. We have seen and photographed up to 30 or more standing on ice floes during a visit to this part of the Weddell, but more usually one encounters just one or more individuals or none at all, so you must consider any Emperor Penguin photographs as a bonus. It all depends on sea ice cover in the area. Typically the chances of getting into the Weddell are best from January to early March, and at this time of year the Emperors have dispersed from their colonies, making for a higher chance of a sighting of birds on ice floes. We rate the chances at this time of year to be a bit above 50%. Charlotte Bay on the west coast of Graham Land was discovered by Adrien de Gerlache during the 1897–99 Belgica expedition and named after the fiancée of Georges Lecointe, Gerlache’s executive officer, hydrographer and second-in-command of the expedition. In this spectacular place, where nunataks rise through the ice cap, seals dot the ice floes and South Polar Skuas harry the local Gentoo Penguins. At Wilhelmina Bay the scenic spectacular continues as one admires the dramatic mountain- and glacierscapes of the Arctowski Peninsula. If we cannot explore Antarctic Sound and the edge of the Weddell Sea owing to too much ice, we may penetrate further south to Cuverville Island with its large Gentoo colony and may make a continental landing in Antarctica at Neko Harbour in Andvord Bay. Still further south, at Paradise Bay, the sea ice sparkles and 3000m high mountains and glaciers tower above us No description can do justice to this awesome, unearthly place where all the works of man seem puny indeed. We may even have the opportunity to sail through the Gerlache Strait and the narrow Neumayer Channel until we reach the historic British base at Port Lockroy on Goudier Island, a fascinating landing site complete with Gentoo Penguins nesting all around the old base and roving skuas looking for a meal. To the north of the Antarctic Peninsula lies the thousand kilometres (600 miles) of the Drake Passage, separating Antarctica from the curving tail end of South America. Crossing this historic waterway, named after the great English seafarer whose expedition almost came to grief in these wild waters, is an exciting experience and gives us our last chance to enjoy and photograph a host of albatrosses and petrels which have become so familiar to us during our Antarctic journey. Almost as rich in seabirds as the seas between the Falklands and South Georgia, the Drake Passage will provide a fitting finale to our time in the great ‘Southern Ocean’. In the afternoon we should see the steep, rocky, greenish-grey headland of Cape Horn looming to the west whilst Sooty Shearwaters circle and dive, and Black-browed Albatrosses glide effortlessly down the troughs between the breakers. This southernmost point of South America, named by the Dutch navigator Schouten after Hoorn, his birth place in the Netherlands, has earned a reputation as one of the wildest places on earth. Here, at the meeting point of the Atlantic and the Pacific, the ferocious winds can whip the waves into a frenzy of spray, although in the southern summer it can sometimes be flat calm! This morning we arrive at Ushuaia. Here we will very reluctantly disembark from the ship we have come to know so well and which has brought us so many unforgettable memories and most definitely some wildlife and landscape photography ‘to die for’. The tour ends on disembarkation. Around Ushuaia it is easy to photograph a good number of birds that will either not be encountered during the Antarctica, Falkland Islands and South Georgia photography tour itself, or which are only occasionally encountered during the cruise. Good photography subjects include Black-faced Ibis, Ashy-headed Goose, Flying and Fuegian Steamer Ducks, Chiloe Wigeon, Southern Crested and Chimango Caracaras, Southern Lapwing, the perky little Austral Negrito and Rufous-collared Sparrow. Less frequently encountered are Black-chested Buzzard-Eagle, Rufous-chested Dotterel and Brown-hooded Gull. If the weather is fine, you might take the ski lift up to the Martial Glacier and search for species such as Buff-winged Cinclodes and the scarce Yellow-bridled Finch, or even the rare White-bellied Seedsnipe. A visit to the municipal rubbish dump will usually turn up White-throated Caracara. If you decide to visit Tierra del Fuego National Park, a scenically spectacular region of seacoasts, forests, lakes and snow-capped mountains on the Chilean border, you may well find such interesting photography subjects as Great Grebe, the huge Andean Condor, Austral Parakeet, the impressive Magellanic Woodpecker (the largest of the South American woodpeckers), the attractive White-throated Treerunner, Thorn-tailed Rayadito and Patagonian Sierra Finch. We can help you with information, hotel bookings and arranging a rental car, or we could arrange for you to take a day out for wildlife photography with a local naturalist guide if you prefer.